Here are YOUR top 3 picks…..
Palmer also was known for her work as a regular panellist for about a decade on the CBS game show I’ve Got a Secret, starting in 1958 she was a wholesome Indiana native who appeared in films, on Broadway and in TV shows for years before she took the role of Mrs. Voorhees in the 1980 movie in which young camp counsellors suddenly begin meeting their grisly ends. 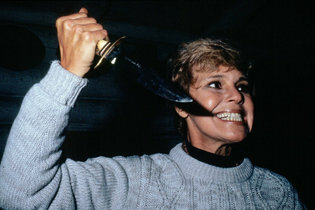 The back story was that she was the mother of Jason Voorhees, who had died at the camp years before. He would come to life in several sequels, and she is seen oh-so-briefly in the 1981 Friday the 13th Part II. Palmer said that she only took the role in that first film because she wanted the money to buy a new car, a Volkswagen Scirocco that cost $9,999. Her old Mercedes had just broken down on the road days earlier. Thankfully Palmer came around to the idea of being a ‘horror icon’ and embraced it before her death in 2015. 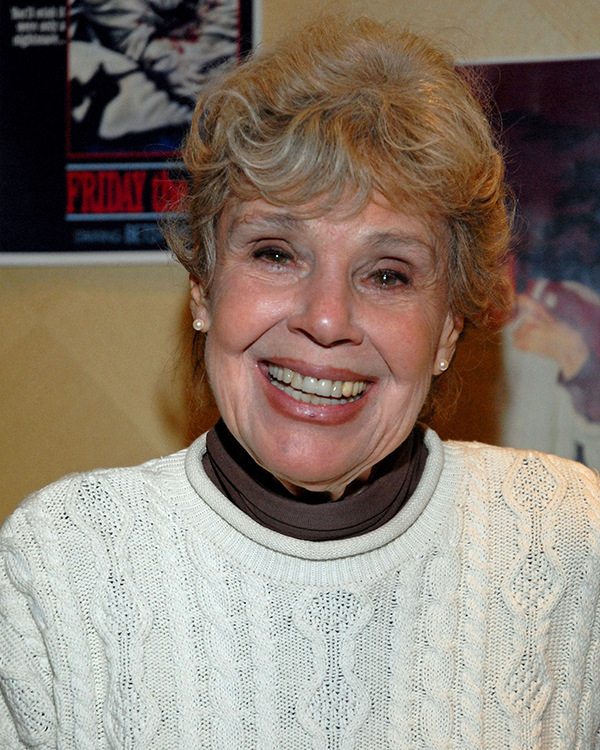 Read our tribute to the wonder Betsy Palmer here. Langenkamp rose to prominence when Wes Craven cast her as teen heroine Nancy Thompson in his hugely successful film A Nightmare on Elm Street, the first film in what became a series. Craven wanted someone very ‘non-Hollywood’ to play Nancy, and he believed Langenkamp met this quality. She beat out more than 200 actresses auditioning for the part. This slasher film follows the story of a group of teenagers who are killed in their dreams by a supernatural serial killer (Freddy Krueger played by horror icon Robert Englund), one by one. This film is credited with launching her career. In 1985, Langenkamp received the Best Actress Award at the Avoriaz Film Festival for this role and became one of the original scream queens. Many critics praised the role of Nancy due to the smart and independent nature of the character that made her different from most heroines in horror films released at the time. Langenkamp reprised her role as Nancy in A Nightmare on Elm Street 3: Dream Warriors in 1987. In 1994, Langenkamp returned to the A Nightmare on Elm Street franchise when she starred as herself in the critically and commercially successful film Wes Craven’s New Nightmare alongside Robert Englund. 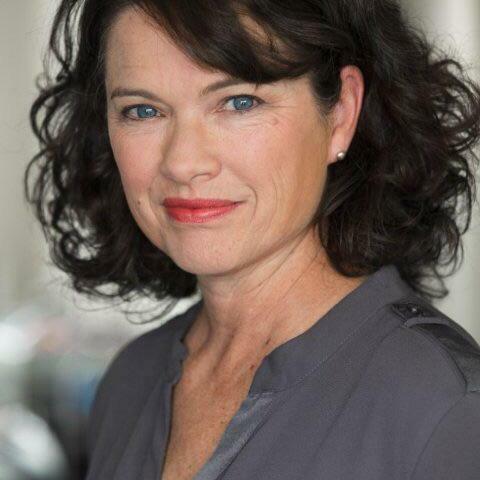 Langenkamp and her husband, David Leroy Anderson, own and operate AFX Studio, a Special F/X Make-Up firm that is credited with the special make-up for many successful films such as Dawn of the Dead, and The Cabin in the Woods. She also starred in, executive produced, and narrated the 2010 documentary Never Sleep Again: The Elm Street Legacy, which was directed by Daniel Farrands and Andrew Kasch. In 2010, Langenkamp made her own documentary entitled I Am Nancy, which was a critical success. I Am Nancy focused on Langenkamp’s role as Nancy from the A Nightmare on Elm Street franchise. In February 2016, it was announced that Langenkamp will be taking on another horror franchise and will be starring in Hellraiser: Judgement. Curtis’s film debut occurred in the 1978 horror film Halloween, in which she played the role of Laurie Strode. The film was a major success and was considered the highest grossing independent film of its time, earning accolades as a classic horror film. Curtis was subsequently cast in several horror films, garnering her the title, “scream queen”. Her next film was the horror film The Fog, which was helmed by Halloween director John Carpenter, further cementing Curtis as a horror film starlet. Her next film, Prom Night, was a low-budget Canadian slasher film released in July 1980. The film, for which she earned a Genie Award nomination for Best Performance by a Foreign Actress. That year, Curtis also starred in Terror Train. Curtis later appeared in Halloween II, Halloween H20: 20 Years Later and Halloween: Resurrection, as well as giving an uncredited voice role in Halloween III: Season of the Witch. In 2015 Curtis starred in Fox’s TV serial Scream Queens as Dean Cathy Munsch. The first season takes place at the fictional Wallace University. One of the sororities, Kappa Kappa Tau, becomes plagued by a group of serial killers, who use the university’s Red Devil mascot as a disguise. On January 15, 2016, Fox renewed the series for a second season with Curtis reprising her role. 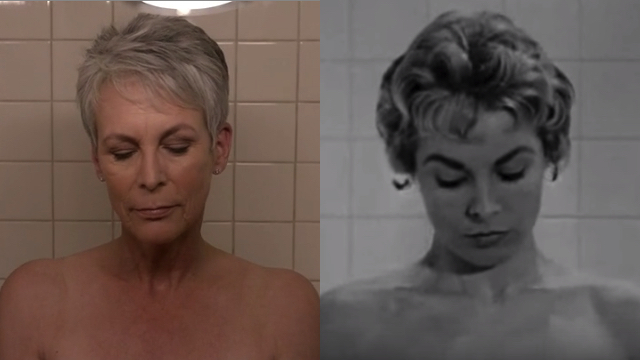 Curtis is the daughter of Horror Icon Janet Leigh who starred in the Alfred Hitchcock film Psycho (1960). 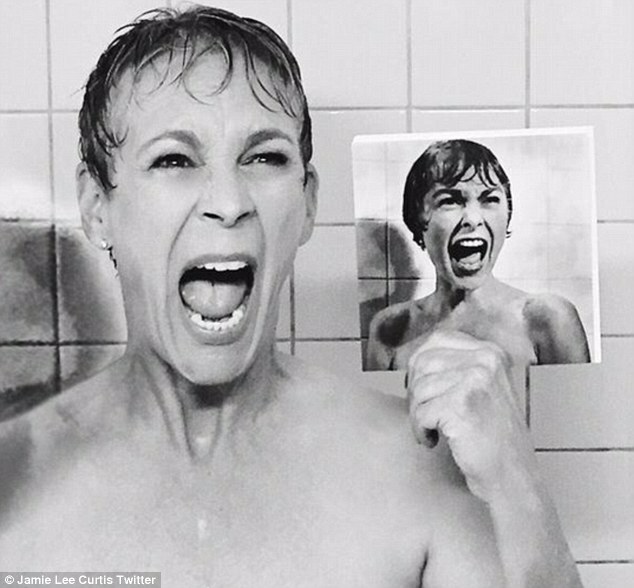 During promotion for Scream Queens Curtis recreated her mothers imfomous shower scene! We look forward to Women In Horror Month 2017! Find out more about the campaign here. ← Jay & Silent Bob Video Game announced!! !